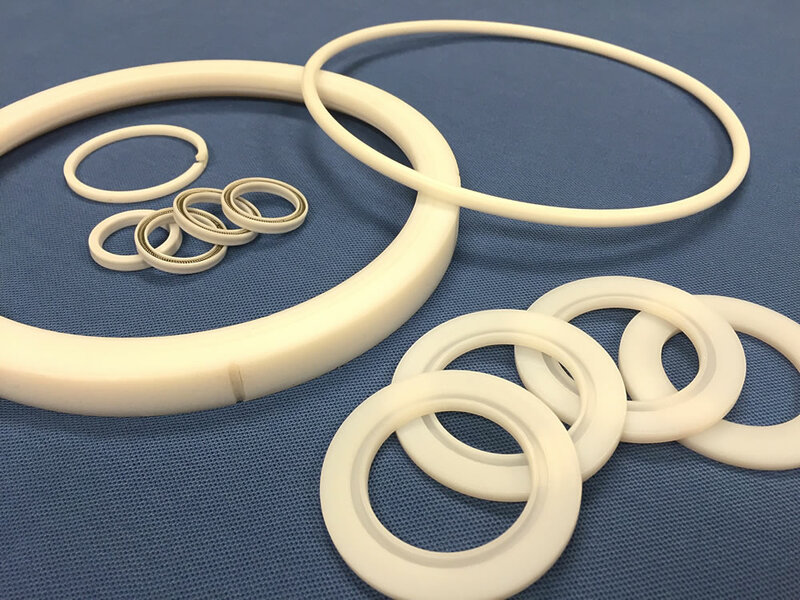 PROSEALS USA provides PTFE solutions, including spring energized seals, valve seats, glyde rings, wear rings, split and solid back-up rings, custom machined or molded PTFE for the automotive, hydraulic, oil & gas, and chemical industries. Visit us at prosealsusa.com or call 800.536.1098. PROSEALS USA works with sources around the world to provide PTFE solutions for the automotive, hydraulic, oil & gas, and chemical industries. Polytetrafluoroethylene, commonly referred to as PTFE (Teflon®), is a synthetic fluoropolymer of tetrafluoroethylene first discovered in 1938 by DuPont. PTFE material resists attack by heat, as well as from just about all chemicals. PTFE mechanical properties are often improved with fillers such as glass, fiber, bronze, carbon, and graphite.